The journal is published by Routledge and they have been fantastically supportive and really do help us produce 3 fantastic issues every year. 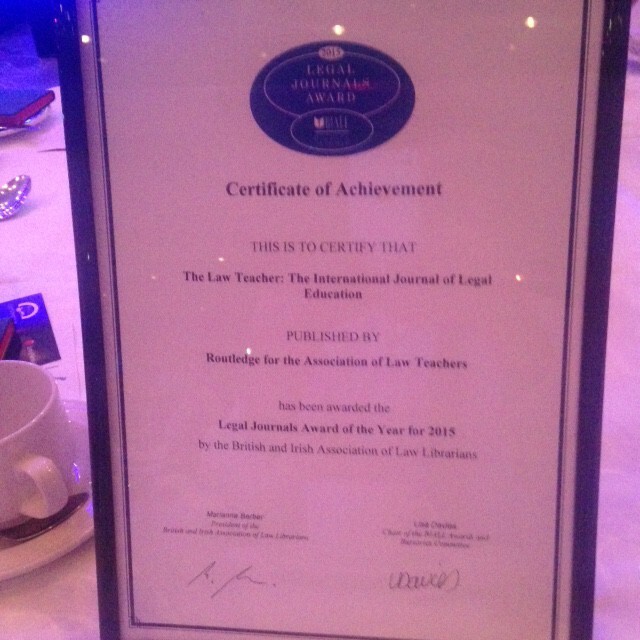 So if you teach law, whether in a university , college or school I think The Law Teacher is worth a look. I know this sounds like a shameless plug for a journal I am involved with and in a way it is. But it is a shameless plug for a great journal that I enjoy reading and which makes a genuine contribution to my teaching and therefore my students. So if I haven’t convinced you to take a look, maybe the contents of Issue 2 of 2015 will. Take a look here and judge for yourself whether the journal makes your list of top journals. It is certainly on mine. ← Running to feel better – no really.